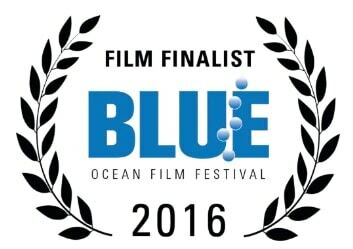 The Khaled bin Sultan Living Oceans Foundation is thrilled to announce that two of our films have been selected as finalists in the world’s largest ocean film and conservation summit, the Blue Ocean Film Festival! 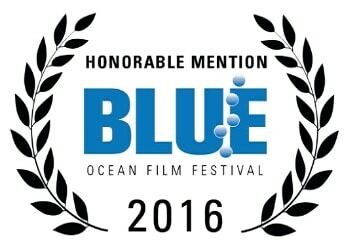 The Blue Ocean Film Festival is the premiere environmental film festival focusing on our oceans and attracts entries from professional filmmakers from all over the world. It aims to harness the power of film to engage, educate, and empower people to face the complex issues facing our ocean. An Ocean Mystery: The Missing Catch has been nominated as a finalist in the Broadcast category. It also received an honorable mention in the Music category. 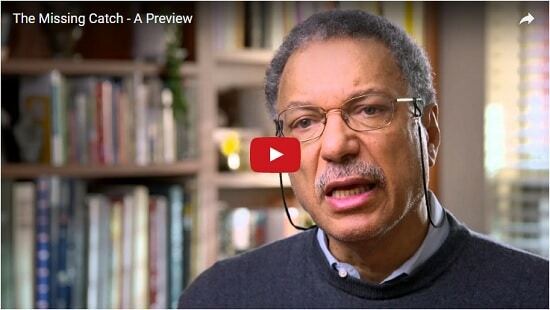 This film follows the work of the world’s premier fisheries scientist, Dr. Daniel Pauly, as he discovers the true quantity of fish we have caught, and the real speed we are running out of fish. The film is scheduled to broadcast on the Smithsonian Channel next year and is a call to arms to take a better accounting of fish stocks before we have a global food catastrophe. 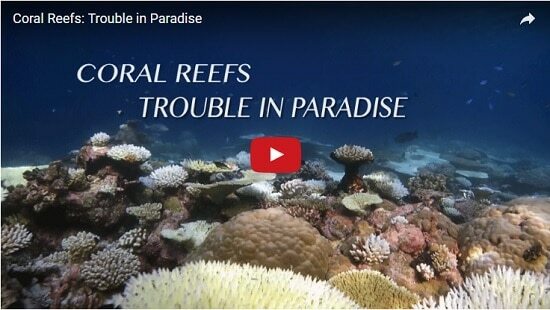 Coral Reefs: Trouble in Paradise is a finalist in the Marine Science category as well as the Education and Non-Broadcast category. This film tells the story of an international scientific team in the Chagos Archipelago, a tropical paradise with some of the healthiest coral reefs on the planet. They are there on the Global Reef Expedition to study coral reefs seemingly untouched by man, but they are alarmed to see coral bleaching transform the reef before their eyes – evidence that even the most isolated reefs are being affected by global climate change. Inside the Mangrove Forest received an honorable mention in the Shorts category, one of the most competitive categories in this year’s competition. 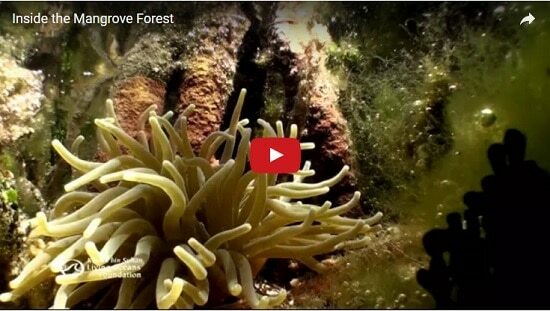 This film was produced for our Education Portal to teach students about the importance of this vital ecosystem. It takes viewers on a journey into a vibrant wetland teeming with life, one of the most productive ecosystems on the planet. In the last 50 years, the world has lost more than 1/3 of our mangroves, but it’s not too late to save what remains of our mangrove forests. The Foundation would like to thank Prince Khaled bin Sultan for his ongoing support as well as all of the members of our film crew and the broad network of people whose hard work, vision, and dedication that made this possible. In particular, we would like to thank: KSLOF Communications Director and Executive Producer Alison Barrat; Camera Team members Doug Allan, Jim Ball, John Ruthven, and Gordy Waterman; Sound Recordist Mike Kasic; Assistant Producer Kate Wehmann; Production Manager Tejinder Gorski; Editors Arthur Binkowski, Anne Goetz, and Mickey Greene; Post-Producer and Writer Anne Carrol, and Assistant Editor Charles F. MacDonald.